The chimenea was originally designed and used as the outdoor heating device for more than 2000 years in Mexico. 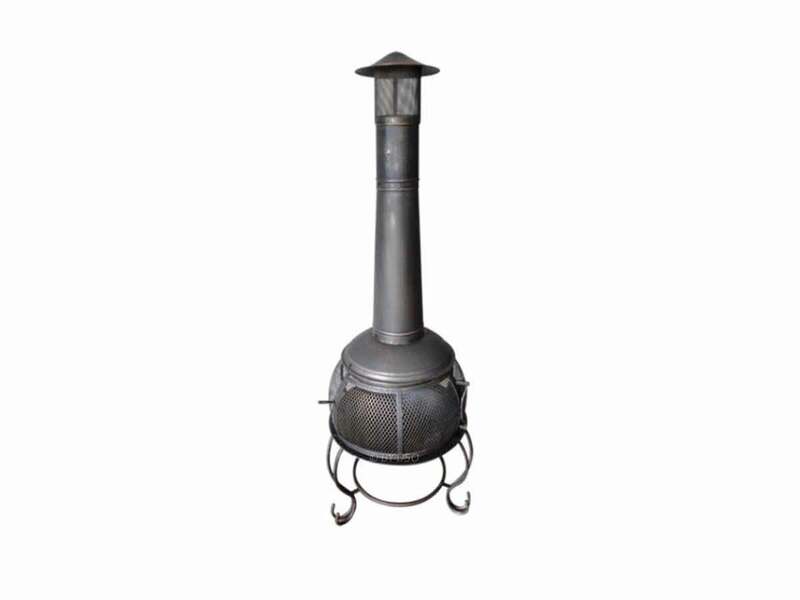 Now stylish and often a great centre piece for your home garden, this chimenea erects within 1/2hr and provides great heat on those cold winter nights. Don't let cold stand in the way of you having fun anymore. Made to withstand high temperatures it can burn both wood or coal, features a removable tray and a high chimney to keep the smoke away. Use all year round as it is frost proof, durable and robust. A great talking piece and an easy way to keep you and your friends warm when the evening temperature drops. Made of steel this chiminea has mesh style doors to close off the fire from those around. A perfect piece of furniture for any patio or decking area. Width measuring from the widest belly : 500 mm Approx. Height with flute : 1740 mm Approx. Height without flue : 950 mm Approx. Door Width : 300 mm Approx. Width of chimney : 140 mm Approx.